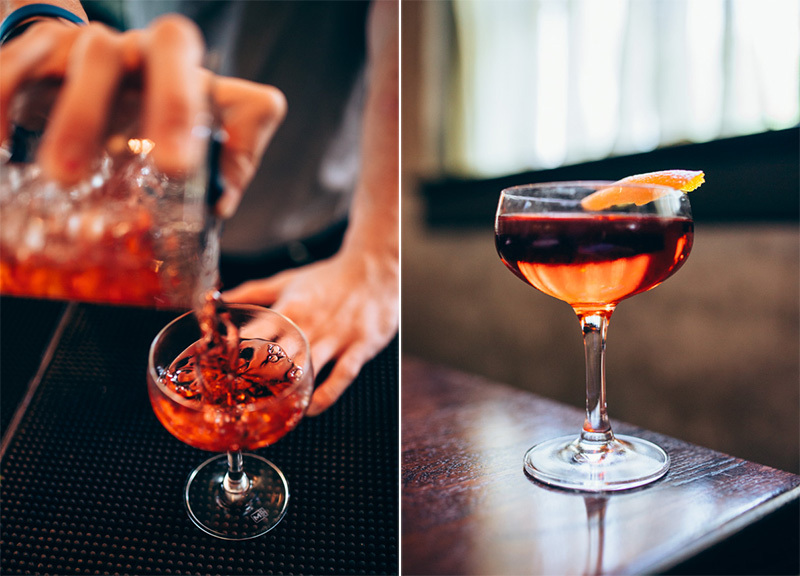 The Boulevardier, Windmill Lounge, Standard Pour And HG Sply Co. Get Crafty With The Boulevardier. You’re sitting at a bar, looking over the cocktail menu, assaulted with names of spices and bitters and alcohols that you don't even have the slightest goddamn clue about. You glance around woefully at your fellow bar friends, who all seem to be functioning perfectly well in this stressful situation. 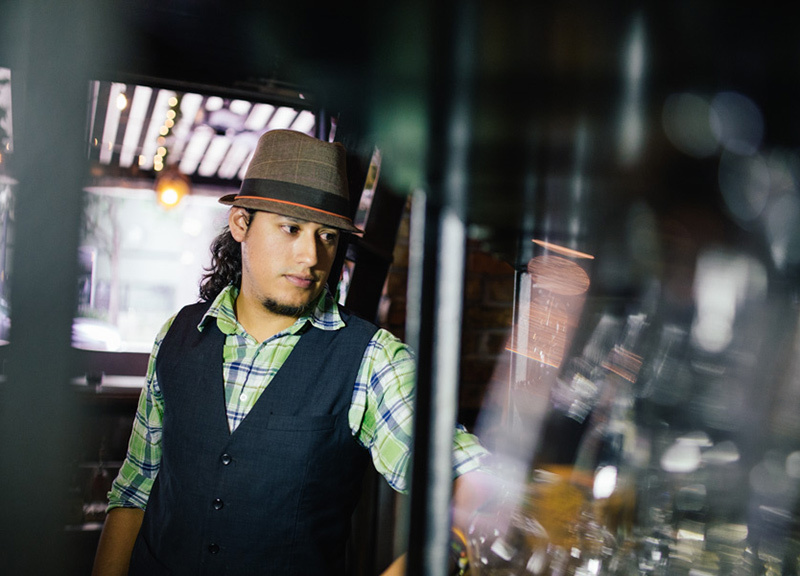 Panic grips your chest as the bartender saunters over to ask you what you'll be imbibing. Then you remember that article on Central Track that told you about the best cocktails in town and how different spots make them. And you realize that you're good. Because All Mixed Up has your back. As far as cocktail-inspiring eras go, the American Prohibition makes for quite the heyday. Makes sense: The outlawing of alcohol led to speakeasy bars, an expensive black market for liquor and the rise of moonshine. And given these difficulties and the strong tastes of some of these homemade alcohols, the fact that cocktails (read: mixed drinks with more flavor garnish than liquor) came into vogue isn't surprising at all. But whereas Prohibition forced some to improvise, others simply fled to wetter countries to continue their plying their crafts. Take, for instance, Harry McElhone, a bartender native to New York who relocated to Europe at the time. A skilled barman, the move gave McElhone a leg up on his fellow Americans: Whereas bartenders back home were forced to improvise with hooch — homemade liquor that possessed almost no consistency from batch to batch — McElhone had at his disposal centuries of refined and cultured liquors that could be mixed with astounding regularity. 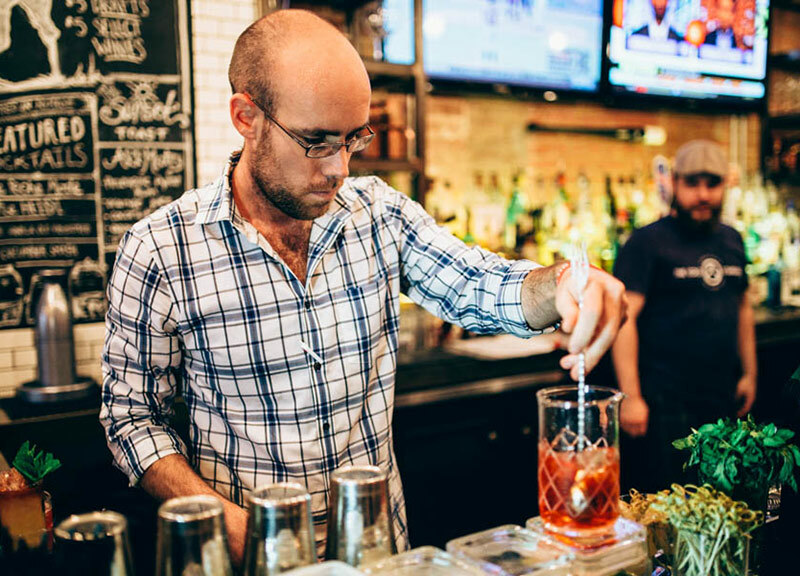 And with one such liquor — Campari — he created the Boulevardier, a drink that would become the favored spirit of American railroad tycoon Alfred Vanderbilt’s nephew, who worked for a paper called The Boulevardier. Hence, of course, the name the spirit would then take on. Mixed along with bourbon (later, rye whiskey would be used as a substitute occasionally), sweet vermouth and garnished with orange, the Campari makes for the definitive, bitter taste of this cocktail. The bourbon is simply meant to bring down the dryness. The sweet vermouth is used to add a bit of a zest. 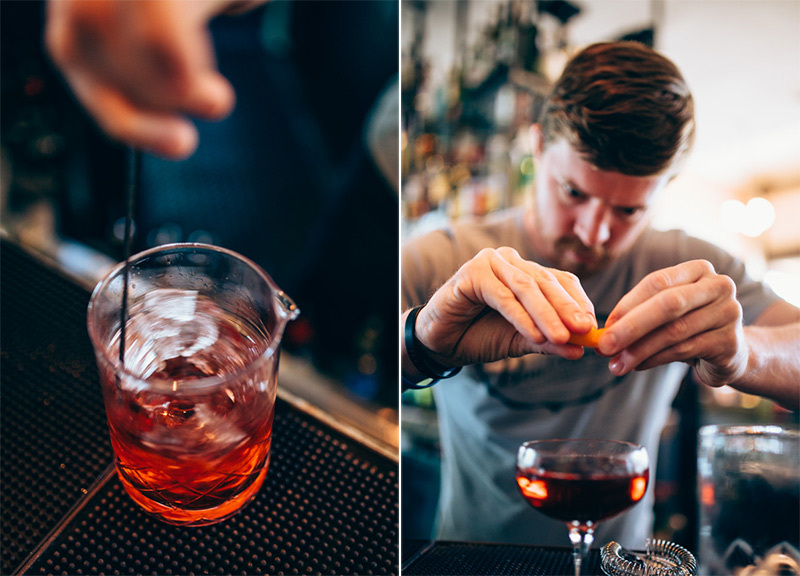 As cocktails go, the Boulevardier is one of the more acquired tastes out there. Dry liquor on its own is one of the later tastes the palate develops, and the cocktail as a whole does little to try and subdue that dryness. But, once you acquire that taste, nothing is quite as refreshing as a well-made Boulevardier. Here are some of the best spots in Dallas to grab this classy cocktail — including, yes, even a joint named after the place. 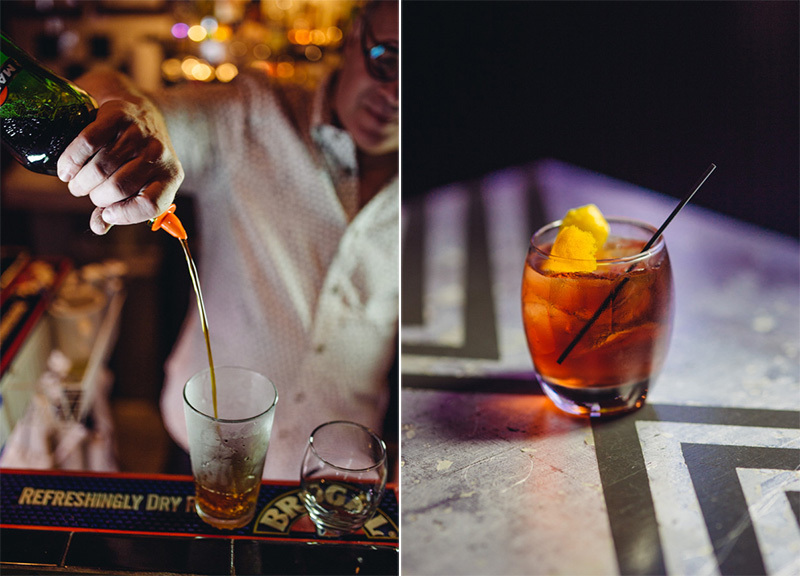 Over at Windmill Lounge, Charlie Papaceno doesn't really deviate from the classic recipe of a Boulevardier. 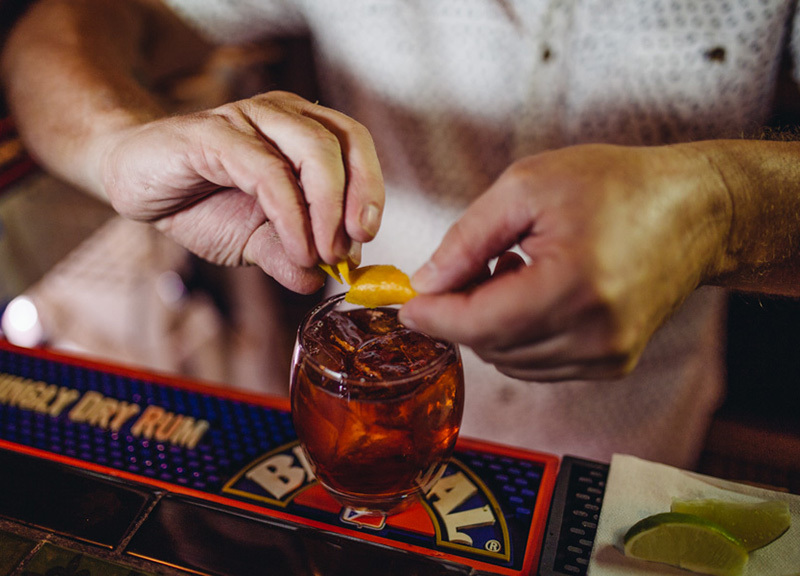 It's all simple and straightforward here: He mixes Maker's Mark bourbon with Campari and sweet vermouth, and opts to garnish with an orange peel instead of a wedge. 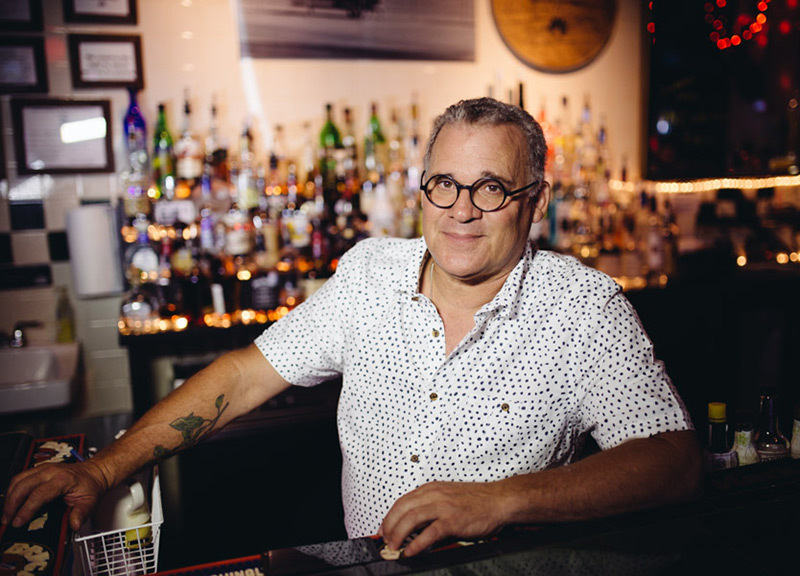 But even though he doesn't take the drink to unknown places, he does make sure to find the best bourbon to subdue the dryness the Campari brings. “It has a higher wheat profile, so it tends to be a little smoother,” Papaceno says of the Maker's Mark bourbon. 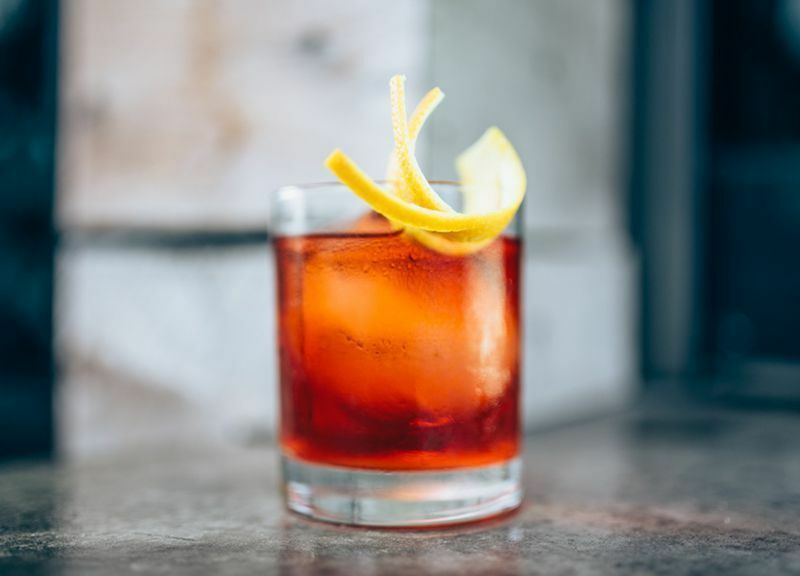 And it does help cut down on the Campari flavor quite well — without taking away that signature Boulevardier flavor profile. At The Standard Pour in Uptown, the bartenders know their cocktails. Their processes are complicated and precise, their ingredients impeccable and passionately used. So when we asked for their take on the Boulevardier, Christian Armando came at it with the set up you'd expect from a chef. With a giant cube of ice, a wood board, an orange, a blow torch and all the required liquor, Armando set out to work. He smoked the inside of the glass over the wood board, ensuring that, even at its basest level, his drink would make any Texas barbecue fanatic wet at the mouth. 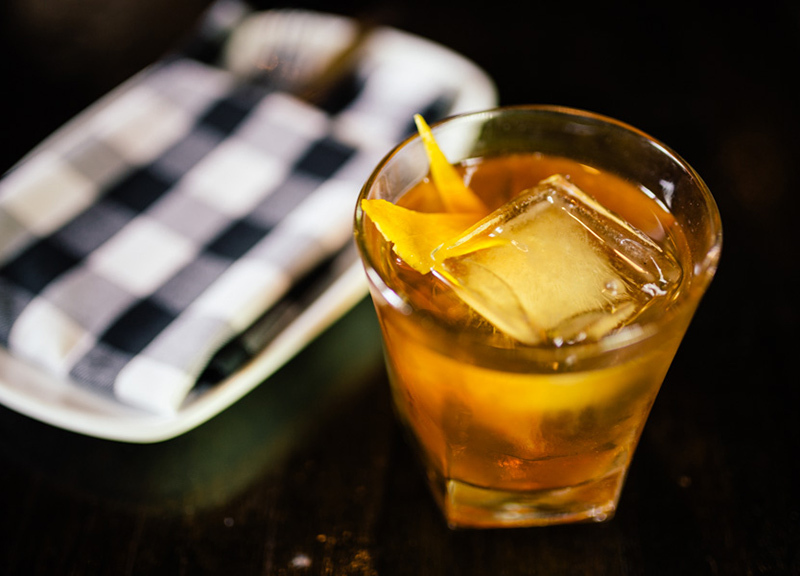 From there, he poured Texas-made Brimstone Whiskey over the ice cube, followed by spiced tea vermouth, root beer bitters, orange bitters and a little bit of Benedictine. 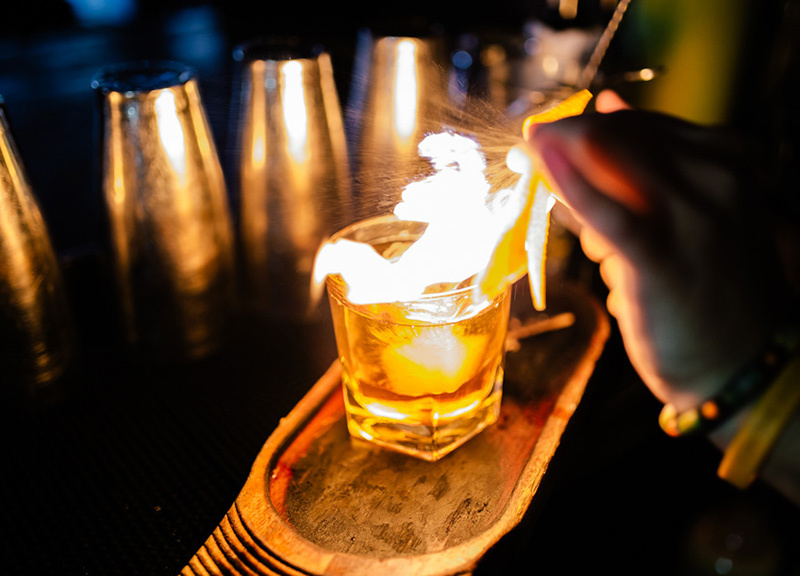 And, for the piece de resistance, Armando held an orange peel over the drink and set a blow torch to it, igniting the air around the drink for the blink of an eye. Besides being flashy as hell, the drink is impeccably sourced. And though it may be a Boulevardier at its base, the Brimstone chooses whiskey in lieu of Campari. 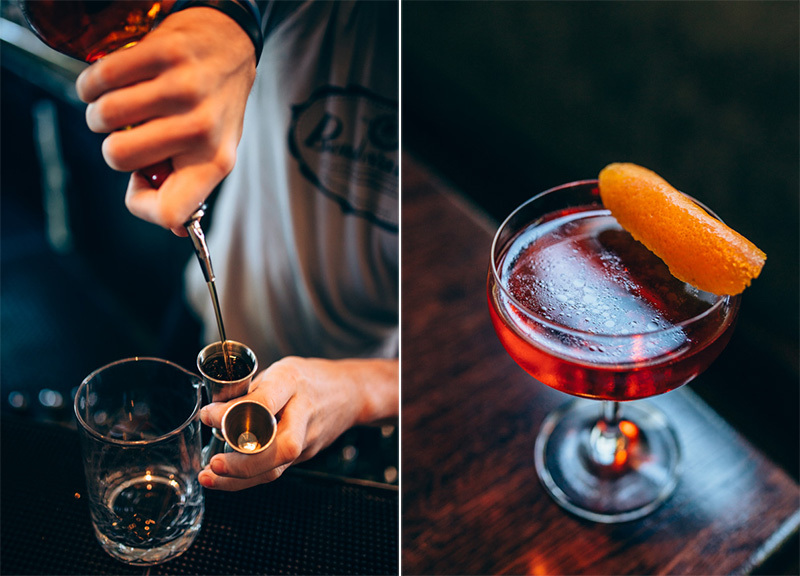 While it may not be the Boulevardier you know, it's definitely the one you will come to love. It's a pretty well-known fact that the folks over at HG Sply Co. on Lower Greenville take the sourcing of their ingredients pretty seriously. And not just on the paleo-centric food menu, either. 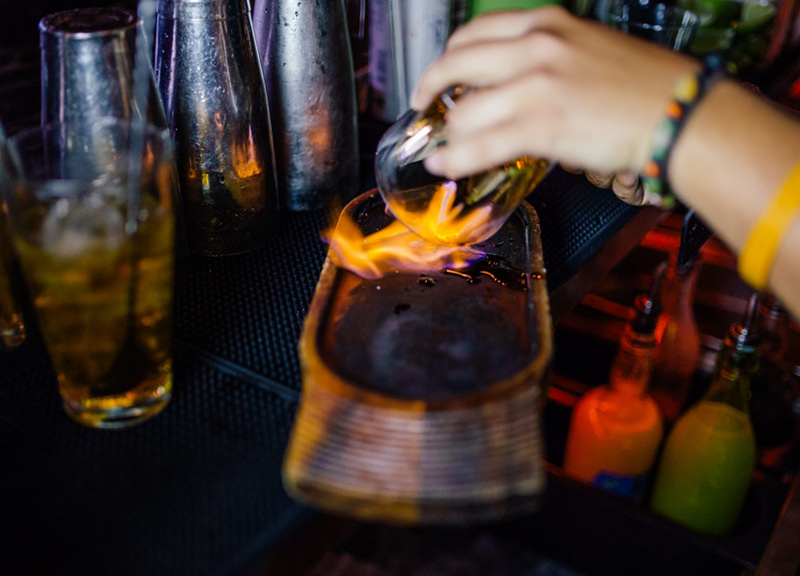 The drink menu's use of house-infused liquors is pretty crazy, too. But don't go expecting any of these infused liquors to make it into HG Sply Co.'s Boulevardier. No, this spot's take on the drink remains untouched from the original recipe. 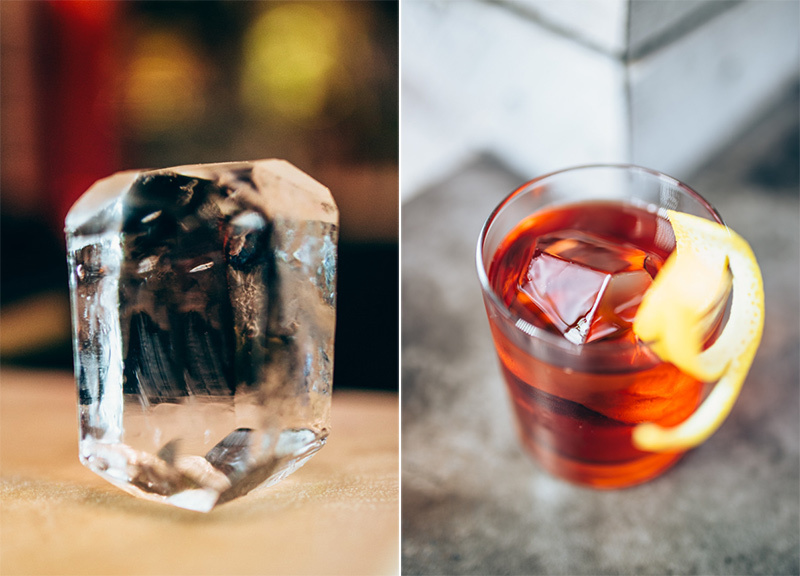 It's hardly boring, though: Instead, the straightforward ingredients all swirl around a single, hand-cut cube — or, more accurately, diamond — of ice. 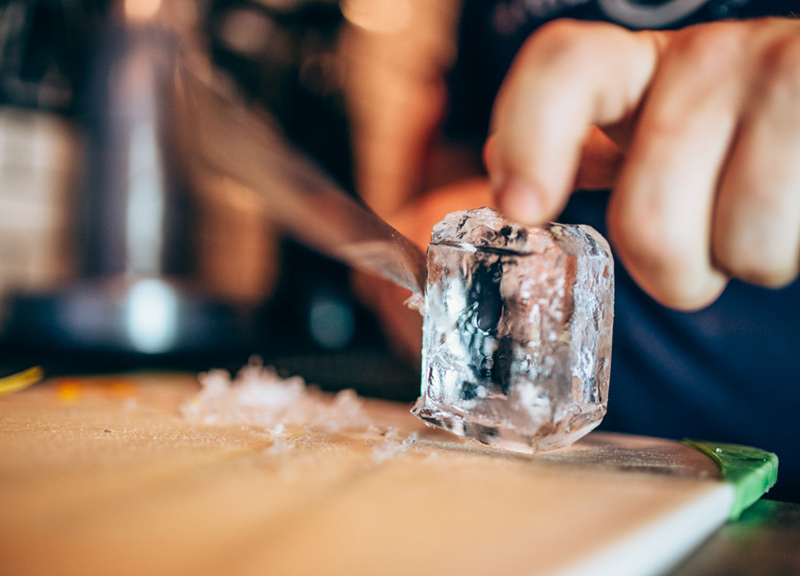 The ice is hand-carved by local ice company The Cold Standard. Long story short: With ice, the smaller the cube is, the quicker it melts. And, with any mixed drink, melted ice means watered down ingredients, which no one wants. The Cold Standard's single rock of ice melts slowly because of its size, ensuring even cooling throughout the drink, without watering down the cocktail too substantially. 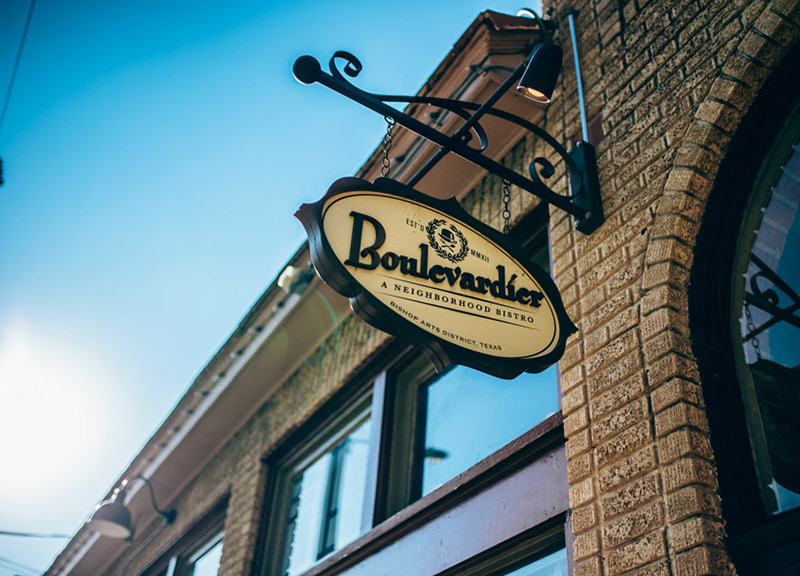 At The Boulevardier, an established French bistro style restaurant in Bishop Arts, the staff has a bit more to own up to — y'know, given that the namesake of the restaurant is the popular cocktail. 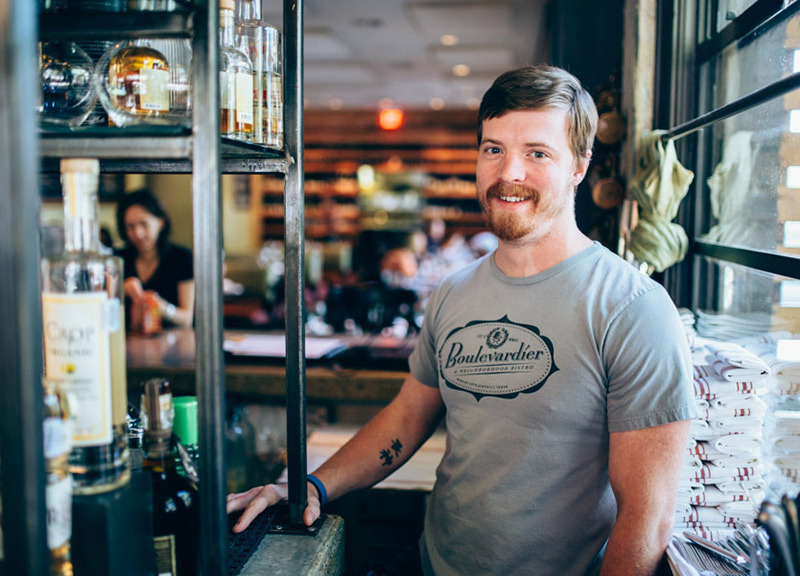 And while the staff definitely specializes in several iterations of the popular cocktail, the one they pour as the house Boulevardier is quite distinct and accessible with its taste. Normally, a Boulevardier is an equal pour of bourbon and Campari, but Eakin — recognizing that the dryness of Campari can make the cocktail hard to drink for anyone but the most distinguished of drinkers– cuts back on Campari and uses the smoother bourbon to subdue the taste to a level almost anyone can enjoy. 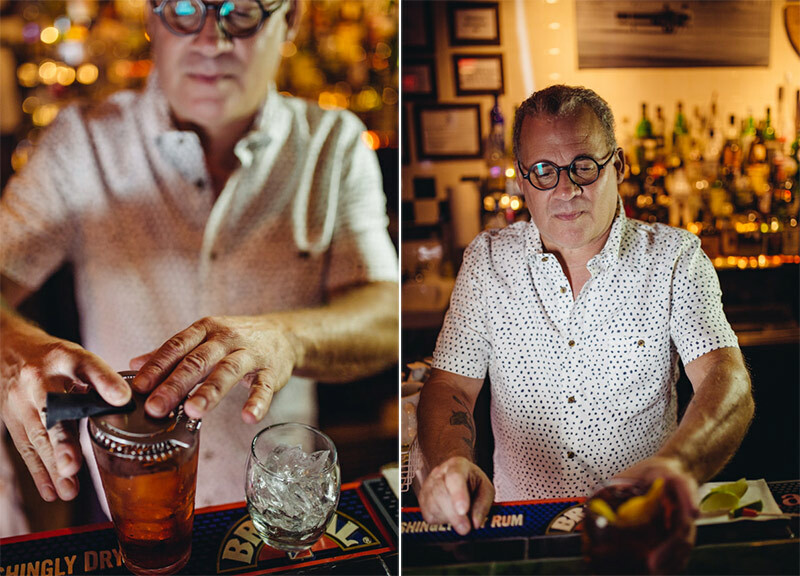 It's a testament to his skill that, without changing the ingredients, he's managed to make one of the most polished and memorable Boulevardiers in town. We recommend getting down to Bishop Arts and sucking down some oysters while sipping on this particularly classy cocktail. Previous ArticleThings To Do on Thursday, August 14.